Alan Simpson and George H.W. Bush casket. 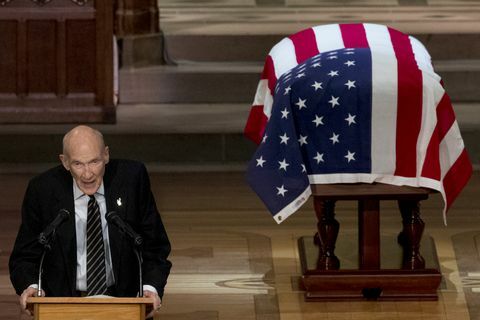 That was really a strange eulogy of George H.W. Bush given yesterday by former Wyoming Sen. Alan Simpson.